Welcome to another DOAML post. Today is a review about one of the new Valentines Day products. Prince Charming is a product from the Valentines Day range that has been out in previous years. This year, Lush have decided to change the formula of the product which means that it is no longer a shower gel. Prince Charming is now a Shower Cream which means that it has more nourishing ingredients within the product and has a thicker consistency compared to a shower gel. Lush have released a lot of Shower Creams within the last year therefore I would expect them to bring any shower product within the future to be either a shower cream or a jelly. It contains Fresh Pomegranate Juice and Grapefruit Oil. It also contains Marshmallow Root and Vanilla Pod Infusion as the other ingredients. These ingredients together create a Jaffa Cake-esque scent which sounds weird as it contains no Orange Oil in whatsoever. Yuzu and Cocoa is meant to smell of Chocolate Orange but I think that this smells of it a lot more than Yuzu and Cocoa does. I think that it shares its scent with Lovers Lamp quite a bit. When you use it, it takes a while for the product to come out of the bottle as the Cocoa Butter within the cream makes it quite thick. It is one of those products that you have to squeeze the hell out of to get any of it. When you lather the product up it becomes quite foamy which is what I love about Lush's shower range. I always like to massage the cream in when it has lathered up which gets the scent into the skin a little bit more. It takes a bit longer for it to work but it's the best way for the scent to work. The scent on the skin is a bit weaker compared to the scent within the bottle. It does last quite a long while on the body though after you have used it. The nourishing properties work more after you have used it. It nourishes your body as well as Butterball does but has a slightly better scent than Butterball. 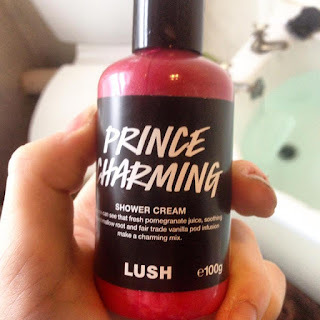 If you're looking for a new shower product that actually nourishes you instead of cleansing you then I recommend you to purchase Prince Charming. The price of Prince Charmiing is £4.95 for 100g which is an alright price for people who want to try it but not to commit to say a 500g bottle as they're not sure if they will get through it all. The prices go up from £9.75, £16.50 and £27.95 for a 1kg bottle which you can onlu buy from the website or Oxford Street I think so if you fall in love with it then you have the option to buy a massive bottle of it. I would give this an 8.5 out of 10. There is nothing wrong with it per se and I love the scent and the texture but I would like to know where the Orange scent is coming from which would bump it up to a good 9 at least. The creamy texture is for certain people as well so unless you like quite thick shower products then you might not like the texture of this product. I hope that you have enjoyed this DOAML post, Click on Prince Charming if you want to find out more or purchase this product. Have you bought anything from the Valentines Day range at Lush then let me know down below in the comments section below. 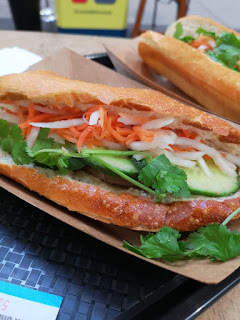 I hope to see you next time for another blog post!